“Change” was a prominent buzzword all around in the world in 2008, but it was the pace and cost of change that seemed to preoccupy residents of the UAE most in the past year – whether the issue was traffic, housing, schools, delivery of medical care or the price of food. Those day-to-day concerns fuelled a more profound question: Who are we as a nation and what do we want? One would expect this question in any nation entering only its 38th year, but there was special poignancy to the question in the UAE. When the Dubai police chief, Maj Gen Dhahi Khalfan Tamim, exclaimed in April, “We are building buildings but losing the Emirates,” he publicly voiced worries being shared by many Emiratis. These concerns were one reason why Sheikh Khalifa bin Zayed, President of the UAE, declared 2008 the “Year of National Identity”, helping make the continued allure of growth – and some of its unintended consequences – the story of the year in the UAE. “National identity” is more complicated than it sounds. As debate raged in community forums and opinion pages, it became plain that before deciding how to preserve it, one had to first define it. For his part, Mohammed Ahmed al Bawardi, the Undersecretary to the Crown Prince of Abu Dhabi and Secretary General of the Executive Council, argued that religion and language were essential to the idea of the Emirates, setting the stage for a renewed emphasis on the importance of Arabic for young Emiratis. Still, arriving at any definition of national identity was no small task in a nation of more than 200 nationalities and where expatriates outnumber Emiratis. The discussion over national identity occurred against the background of frenetic growth. The developer Emaar, seeking to ensure the Burj Dubai ends up as the world’s tallest building, kept adding floors, but delayed completion of the tower. By year’s end, the Burj Dubai had passed 688 metres. At its foot snaking through the city was the 47-station Dubai Metro, one line of which has neared completion. 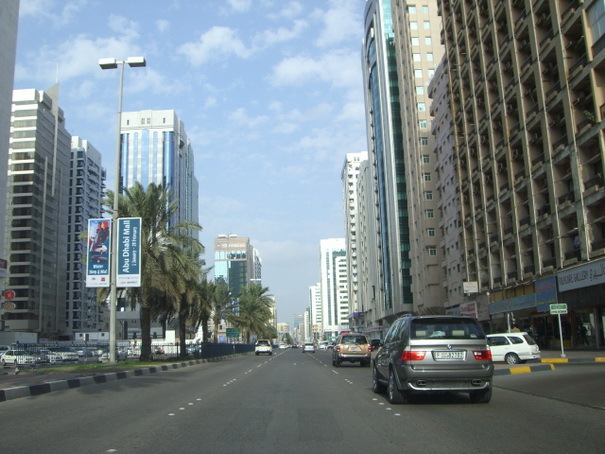 In Abu Dhabi, public buses plied the streets for the first time in 2008, and a new public beach stretched languorously along the Corniche. More skyscrapers also crowded the skyline, from the Etihad Towers project in the southwest to the Reem Island development in the northeast. The year augured change for the skies above, too. Etihad Airways in July ordered up to 205 aircraft from Boeing and Airbus at a cost of some $43 billion (Dh158bn), and the finishing touches were put on Abu Dhabi International Airport’s new Terminal 3. Meanwhile, the airline’s rival to the east, Emirates Airline, ordered another 60 wide-bodied airplanes from Airbus in a deal worth $11.8 billion. While growth continued apace, so did efforts to renovate and modernise municipal services. Some 24,000 state school principals and teachers were to be certified or recertified. The Dubai Health Authority also announced plans to recertify 15,000 medical personnel. To better meet its future energy needs, the UAE pressed ahead with plans to develop nuclear power, signing co-operation agreements with France, Britain and the US. To meet its future food needs, it stepped up public-private efforts to buy farmland abroad. Authorities appeared far less adept at rectifying an ATM scandal and identifying who stole PIN numbers from consumers and continued running up millions of dirhams in illicit purchases. In foreign affairs, tensions between Abu Dhabi and Tehran ebbed and flowed, driven by a long-standing dispute over Iran’s occupation of three islands in the Arabian Gulf and the Islamic republic’s nuclear programme. With disquiet about Tehran’s intentions persisting, the Government announced plans to develop a missile defense system, in co-operation with the US and other members of the GCC. In another defense-related development, France broke ground for a new military base on UAE soil. Diplomatically, the UAE emerged as an even more visible player on the international stage. It defended its human rights record at a UN meeting in Geneva, and appointed its first female ambassadors – one to Spain, the other to Sweden. Sheikh Abdullah capped a year of more assertive UAE diplomacy by attending Christmas mass at the Church of the Nativity in Bethlehem. Finally, on a more down-to-earth note, at least 10,831 babies entered the world at the Corniche Hospital, the government-run maternity hospital in Abu Dhabi. Another baby of a different sort also entered the world on 15th Street. On April 17, the first edition of this newspaper rolled off the presses. * Hugh Naylor, Alison McMeans, Mitya Underwood, Mahmoud Habboush, Daniel Bardsley and Matt Bradley contributed to this report.